FARMINGDALE, N.Y., March 20, 2018 – EpiGentek, a NY-based biotechnology firm specializing in epigenetic research products and services, announced its technological and financial support for new skincare startup EpigenCare. William Lee, who served as an operations executive for a number of years at EpiGentek, spearheads EpigenCare’s venture as its CEO. EpiGentek will work in collaboration with EpigenCare to bring to the consumer market a personalized skincare test based on epigenetic markers. These markers were validated in the lab using next-generation sequencing with the assistance of EpiGentek. EpigenCare’s direct-to-consumer test assesses a number of skin quality indicators including aging, firmness and elasticity, moisture retention, DNA damage and repair, cell regeneration, sensitivity response, anti-oxidation, and pigmentation. Using a blockchain-powered digital platform, EpigenCare can subsequently screen the epigenetic effects of ingredients in skincare products on the market and recommend the products as personalized options based on consumers’ epigenetic skin profiles. The underlying blockchain technology protects the individual’s privacy using an anonymous ID association of his or her skin profile data. Since 2014, EpiGentek has provided contract research services for a wide number of esteemed institutions including the National Institutes of Health and NASA. Its expertise includes a range next-generation sequencing applications including reduced representation bisulfite sequencing, targeted bisulfite sequencing, ChIP sequencing, and RNA sequencing. Through its experience, expertise, and insights in epigenetic research, the company will provide substantial technological support to EpigenCare. Moreover, EpiGentek has extended EpigenCare with a line of credit to accelerate the new venture’s commercialization of its personalized skincare test. This will also help sustain EpigenCare’s business operations as it raises capital from investors. EpiGentek believes that epigenetic research has reached a pivotal point in culmination with advancements in bioinformatics such that epigenetics can be leveraged for consumer skincare regimen. To combat a noticeable rise in pseudoscientific commercial offerings claiming to use epigenetics, EpiGentek hopes to provide a scientifically-grounded and lab test-based consumer solution through EpigenCare. Simultaneously, the access to a substantial number of test samples through EpigenCare will help both EpiGentek and EpigenCare gain accelerated insight into epigenetic correlators and data points beyond the lab bench. EpiGentek is a New York-based biotechnology company that focuses on developing and providing innovative technologies, services, and products as a complete and systematic solution for epigenetic related research and drug discovery. Visit the informative website at www.epigentek.com. 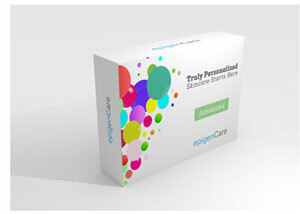 EpigenCare Inc. is a privately held personal epigenomics and digital biotechnology company based in New York. The company offers a direct-to-consumer epigenetics test to assess the dynamic state of one's skin type and quality. Subsequently, capture of the dynamic quality allows for actionable results from the analysis report such that optimized product options are recommended to the consumer. EpigenCare's epigenetic technology is supported by EpiGentek Group Inc. Learn more about EpigenCare and its personalized skincare solutions at https://www.epigencare.com/. Note: This release includes forward-looking statements by the Company. For media contact, please e-mail media[at]epigentek.com.